BrightStar Care® is dedicated to employing the best in-home care professionals. To ensure our employees can share honest, unbiased feedback about their experience with us, we have partnered with Home Care Pulse, a national third-party quality and satisfaction research firm. Home Care Pulse grants the Employer of Choice Award to the top-ranking home-care providers, based on satisfaction scores gathered from interviews with our employees. The Best of Home Care Award signifies we are dedicated to going the extra mile to make sure our employees love working with us. 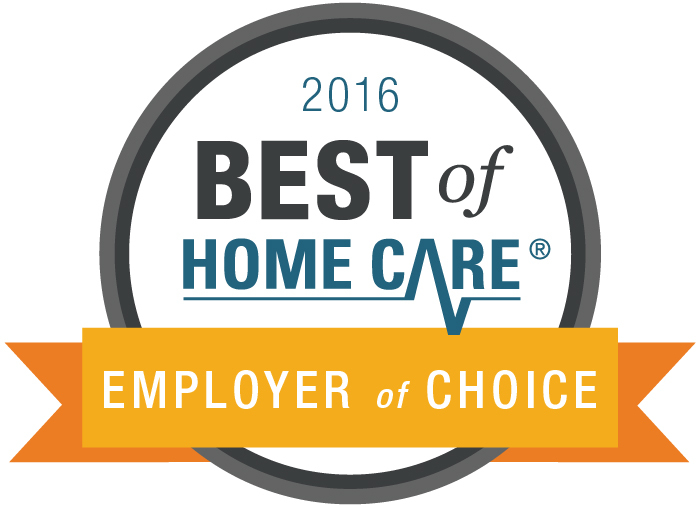 We are honored to receive the 2016 Best of Home Care® Employer of Choice award. Only the nation’s top-ranking home care providers earn this distinction based on employee (professional caregiver) satisfaction scores gathered by Home Care Pulse — a national third-party quality and satisfaction research firm. BrightStar Care contracted with Home Care Pulse to gather feedback from their caregivers via live phone interviews each month. Because Home Care Pulse is an independent third-party company, it is able to collect honest and unbiased feedback. BrightStar Care of Kissimmee/Osceola received the highest satisfaction scores from their caregivers in areas such as training, office communication, caregiver/client compatibility, and overall job satisfaction. To find out more about BrightStar Care of Kissimmee/Osceola’s commitment to excellence, please call (407) 572-0070.